Dermal fillers treatments can contour and create volume, fill out lines and wrinkles and revitalise the skin. 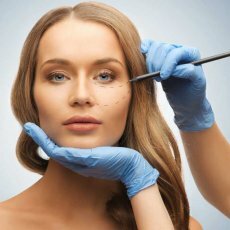 Dermal fillers used at Face Clinic London are temporary and dissolvable- made up of Hyaluronic acid, which is a substance that naturally exists in your body. The result of a single treatment can be seen instantly andcan last for around 6 to 9 months. Dermal fillers can be used to smooth away facial lines and wrinkles, create fuller lips and shape facial contours, such as cheeks and chin, and revitalise the skin. The standard dermal filler products used for treatments at Face Clinic London are Restylane, Juvederm, Perlane and Emervel. Skinboosters(a lighter filler that can be used on fine lines, in the top lip, crows feet, chest, neck and hands. Priced separately). All our filler products come with a numbing agent for extra comfort. Prices include a initial consultation* with a doctor. 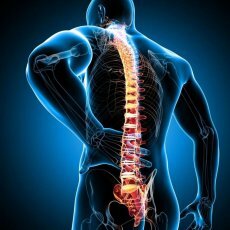 Initial consultation* and treatment may be carried out on the same day allowing enough time. Dermal fillers are used for facial aesthetic treatments and are injected into the skin. They are designed to effectively reduce the appearance of unwanted wrinkles, contour and create volume, and to revitalise the skin. 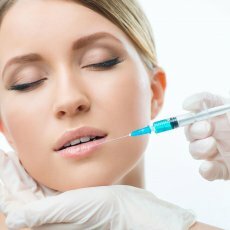 Dermal fillers are based on Hyaluronic acid (HA) which is a substance that naturally exists in your body. By boosting the skin’s supply of hyaluronic acid, dermal fillers revitalise and add volume to the skin, instantly diminishing the appearance of lines and wrinkles, and giving a natural softer look. Dermal fillers are a soft injectable gel consisting of stabilized, non-animal hyaluronic acid. The gel is tissue-friendly and closely resembles the hyaluronic acid that exists naturally in the body. It is long-lasting but not permanent. Dermal filler injections provide an easy way to reduce the appearance of wrinkles, smooth the skin and give a more youthful appearance. The result of a single treatment can be seen instantly andcan last for around 6 to 9 months. 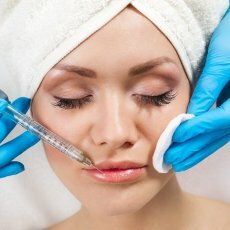 Dermal filler injections can give a natural looking result that does not affect facial expression. As your face changes over time, dermal fillers allow you to control you looks subtly as you age. 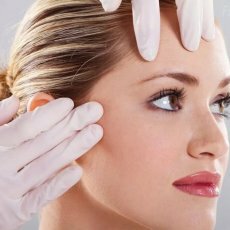 During the initial consultation at Face Clinic London, the doctor will discuss your treatment expectations. After discussion of what you wish to achieve and assessment of your treatment needs, the doctor will recommend which dermal filler treatment is most suitable for you. After the consultation, and if you are happy to proceed, your practitioner will help you complete a medical history form and you will need to sign a consent form before treatment can progress. 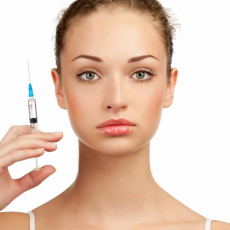 Dermal filler is injected into the skin in small amounts using a very fine needle. The gel provides natural volume to smooth away the appearance of lines and wrinkles, enhance facial shape, or create fullness in the lips or cheeks. Dermal filler products improve the elasticity and texture of skin, restoring and maintaining the skins hydrobalance. The treatment is quick, typically taking about 15-30 minutes. Treatment with dermal fillers do not affect facial expression and the benefits can normally be seen instantly. Dermal filler products are biodegradable, which means they will naturally disappear in the body. To ensure an optimal and long lasting result, a top-up treatment is recommended 6-12 months after your initial Restylane treatment. Discuss with your practitioner when a follow-up appointment may be appropriate. One of the great advantages of dermal filler treatment is that the effects are long lasting but not permanent. Duration depends on many factors, such as the individual’s skin type, skin condition lifestyle and age. After the initial treatment, follow-up sessions are normally recommended around every 6 to 12 months depending on the individual and the treatment. A treatment of the lips or cheeks lasts about 6 months. Dermal fillers should not be used in or near areas where there is or has been skin disease, inflammation or skin related problems. Dermal fillers have not been tested in pregnant or breast-feeding women, Individuals with medical conditions that lower the body’s immune response or individuals undergoing therapy that is immunosuppressive may be more prone to infection by a skin injection procedure. During your pre-treatment consultation, you should thoroughly discuss your medical history with the doctor at Face Clinic London. 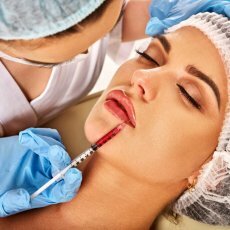 The lips are a highly sensitive part of the body and, therefore, at Face Clinic London we only use dermal filler products with local anaesthetic lidocaine included for a more comfortable treatment experience. More than 10 million treatments have been performed since the launch of Restylane dermal filler in 1996. Product related reactions are rare. There are some injection related reactions which may occur after any injection; they typically resolve spontaneously a few days after injection to the skin, within a week after injection into the lips. These reactions include redness, swelling, pain, itching, bruising or tenderness at the injection site. Dermal fillers can be used to enhance the lips giving fuller, more shapely and defined lips. Dermal fillers can be used to add volume to thin lips, giving a fuller appearance. 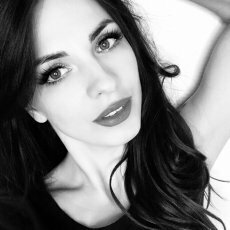 Dermal fillers can be injected along borders of the lips and into the cupids bow to accentuate the lip line giving a more shapely and youthful appearance. Marionette lines are lines that are present just below the corners of the mouth and occur with loss of volume associated with ageing. They can give the appearance of pulling the mouth downwards giving a sad and unhappy facial expression. Dermal filler can be injected just below the corner of the mouth to soften these lines by adding volume to the area and giving shape to the lips. Smoker’s lines are vertical lines mainly at the top lip can be effectively reduced by dermal filler treatment into the lips.